For the second hour of today's show, Marc was joined by New York Times best selling author, Laura Lippman. For the second hour of today’s show, Marc was joined by New York Times best selling author, Laura Lippman. 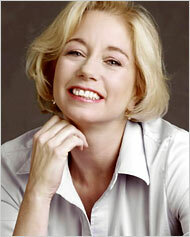 Laura Lippman has written many books including The Tess Monaghan Series, which featured the books Baltimore Blues, Charm City, Butchers Hills and others. Lippman’s works have won the Agatha, Anthony, Edgar, Nero, Gumshoe and Shamus awards. Learn more about the author and her latest work, Life Sentences, at www.LauraLippman.com. This show is a rebroadcast. To hear the podcast, click here and go to the original show page.